Welcome to the T.T.R.A. website. The T.T. 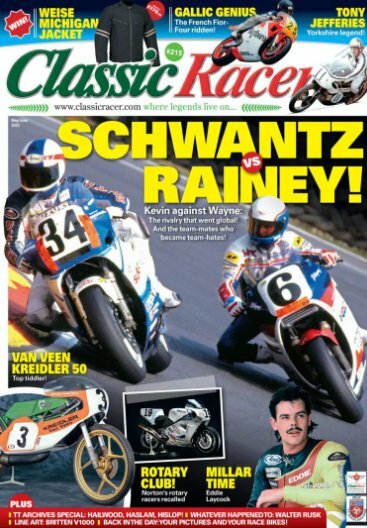 Riders Association (TTRA) website offers information and articles on the Isle of Man Tourist Trophy riders association. Take a look through the website for access to the Society archives including photos, newsletters and a brief history of the Association. The T.T. Riders Association is the only Isle of Man registered charity in motorcycle racing for motorcycle racers. If you start a T.T. race you can join for £45 which gives you Life Membership. The TT Riders Association would like to announce the new day and date for the annual fundraising luncheon Which is the highlight on the calendar in the racing world and are happy to invite non members and guests to enjoy this fantastic event. No changes to the procedure everything will be just the same and more. You might like to make a note in your diary and make it a couple of days break away. There is the last day of the motorcycle live show on the Sunday at the NEC. There is the national motorcycle museum to spend a few hours browsing, and also, the Birmingham Tattoo on the Sunday afternoon in the arena which is a fantastic event. If you bring your lady, Solihull and Birmingham are great places to shop and as it is getting close to Christmas, plenty of exciting things to visit. The values and aims of the TTRA haven't changed in the many years that it has been in existence. Riders, and their families, who face real hardship, are helped as much as is possible and for as long as is necessary. By its very nature, confidentiality is everything, this work goes largely unnoticed. But the sting in the tail for the TTRA is that by having to hide its light under a bushel the association finds it that much more difficult to cast the fundraising net farther afield. It also comes as a surprise to find that an organisation founded out of necessity in the 1950's should still be needed in 21st Century, but needed it most definitely still is. We can assist with Riders who may have been injured in the sport we all love and enjoy, or for some unfortunate reason financial assistance may be asked for. These circumstances are dealt with confidentially and with discretion. We always appreciate a call from a good friend or relative who can guide us through the TTRA members situation. The Friends of the TTRA is a great way for those who enjoy the TT, but have never ridden in a race to help support the TTRA. Please go to the FoTTRA pages for more information. Friends are maybe those who made the race possible for a rider such as a sponsor, a mechanic, a marshal, official, a member of the riders family or even a TT enthusiast. The list includes manufacturers, ordinary motorcyclists and business people who have an interest in motorcycle sport or the objects of the charity. Top of page | Friends | Contact | © TTRA All rights reserved.